Monitor company benefits issued to employees, track benefit usage and associated costs. The power of HRM software at work. Monitor costs of benefits issued to employees – by employee, benefit or as a whole. Notifications to alert when benefits are due to start or be removed from employee. 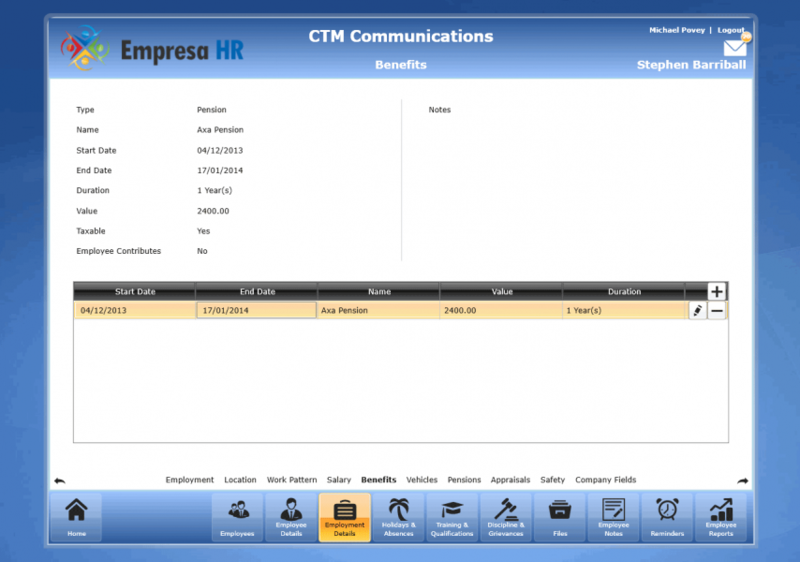 HRM software with fully configurable benefit durations. Full reporting functionality – instantly see which benefits are issued to which employees – and the cost to the company.